When Amazon released their Dash buttons that allow consumers to order goods by merely pushing a button, it wasn’t long after that engineers and makers hacked the devices for everything from tracking baby data to controlling smart switches. Turns out, people like the idea of simplicity, especially if the gadget does one job but can be adapted for a myriad of applications. 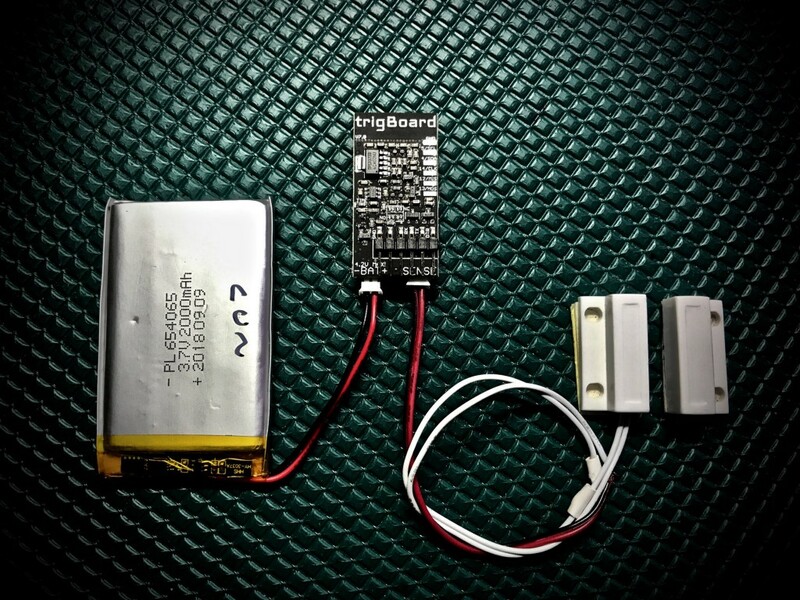 That’s the idea behind Kevin Darrah’s trigBoard — an ESP8266-based ultra-low powered IoT board, which uses a digital input to send push notifications when triggered. The trigBoard is designed to save power until it’s activated by a digital input (pressure sensor, push-button, magnetic reed switch, etc.). A low-powered Texas Instrument’s TPL5111 system timer, which burns just 35nA, is used to wake the ESP module from its slumber every hour to check battery status. The timer is also outfitted with a manual wake-pin that’s utilized to trigger actions based on those sensor inputs. The board is equipped with a pair of Micro JST connectors as well, with one dedicated to a 3.7V Lithium Polymer rechargeable battery, and the other tasked for whatever sensor package your project requires. The trigBoard is now in its seventh iteration and features an Auto Reset option that does away with messing with the GPIO/0 and reset button to enter programming mode, which is done directly from the Arduino IDE after first waking the board. The board comes with pre-loaded firmware that can be used with Pushbullet app to send push notifications to smart devices; however, it can be reprogrammed to suit project requirements. 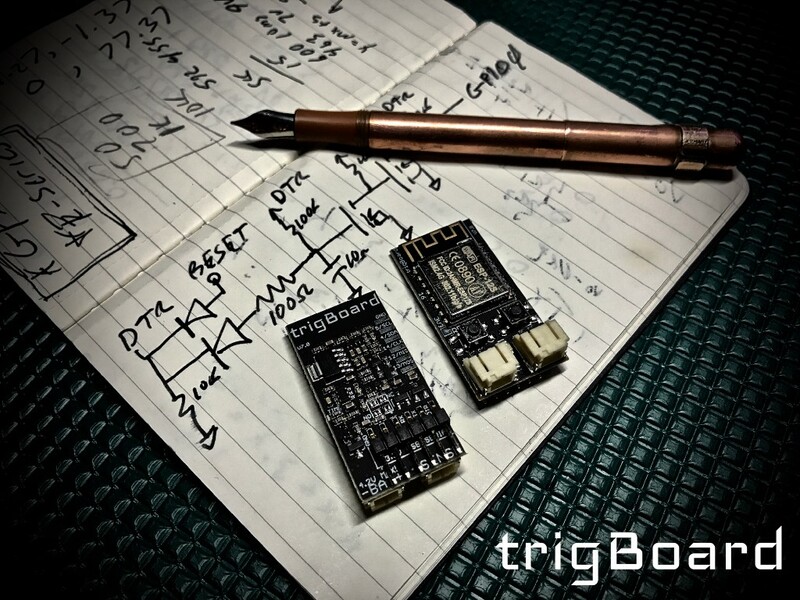 Darrah is currently selling his trigBoard on Tindie for $20, but you will have to buy your own battery and FTDI USB/Serial converter to program the board via PC or Mac. ESP8266-Based trigBoard Pushes Notifications When Digitally Triggered was originally published in Hackster Blog on Medium, where people are continuing the conversation by highlighting and responding to this story.